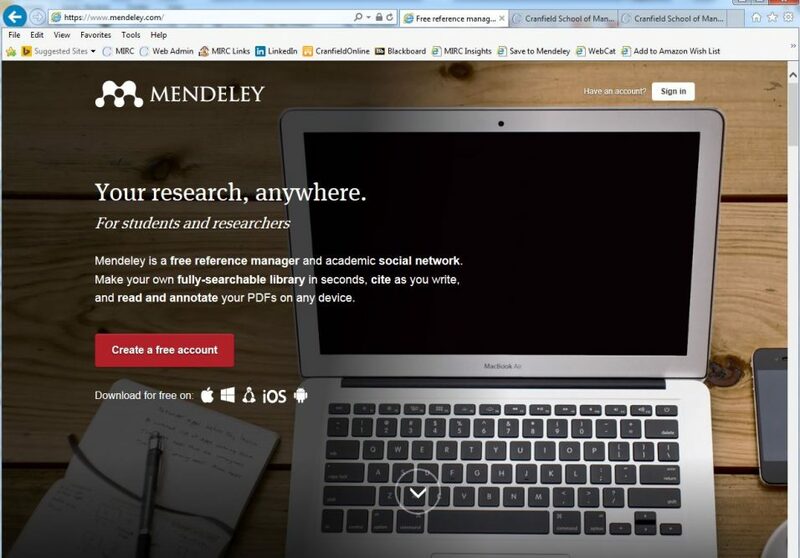 Before you start using Mendeley reference management software, you will need to create an account. This is really simple and should take you no more than a couple of minutes. Just follow the instructions below. 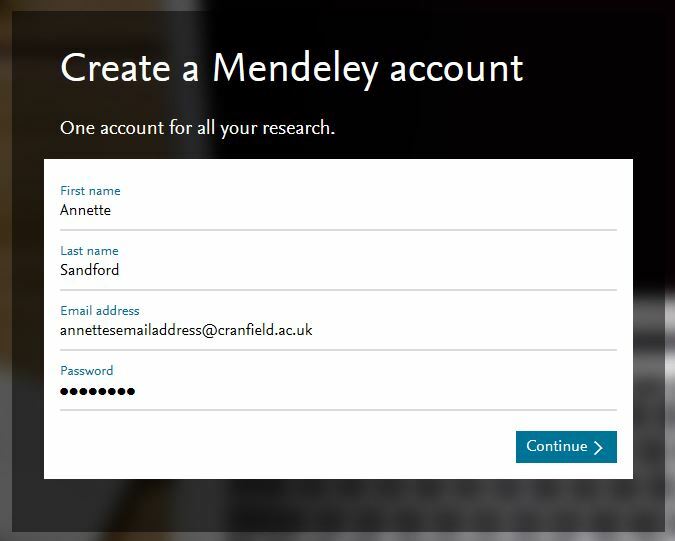 Head to the Mendeley website and click on the big red ‘Create a free account’ button. First enter your name, email address and create your password. This is separate from your Eve / CCNT password. Make sure this is something you will remember. Select your area and level of studies, then select ‘Create account’ to proceed. When prompted, tell Mendeley that you are from Cranfield. 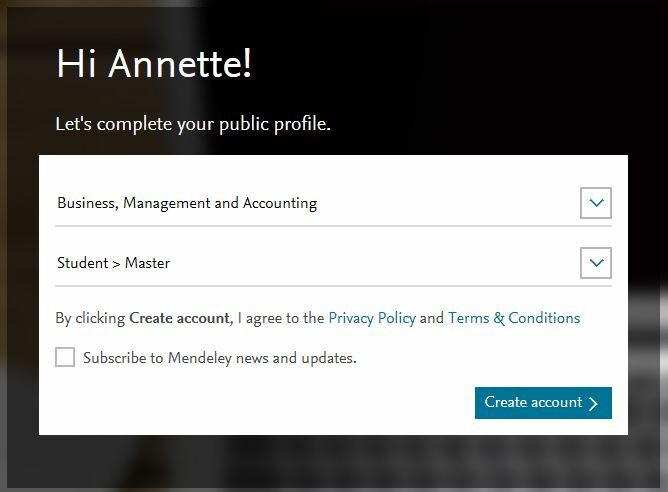 You should receive a validation email from Mendeley to confirm your email address. Click the link to do so and that’s it. You’re done! Your account is now active. 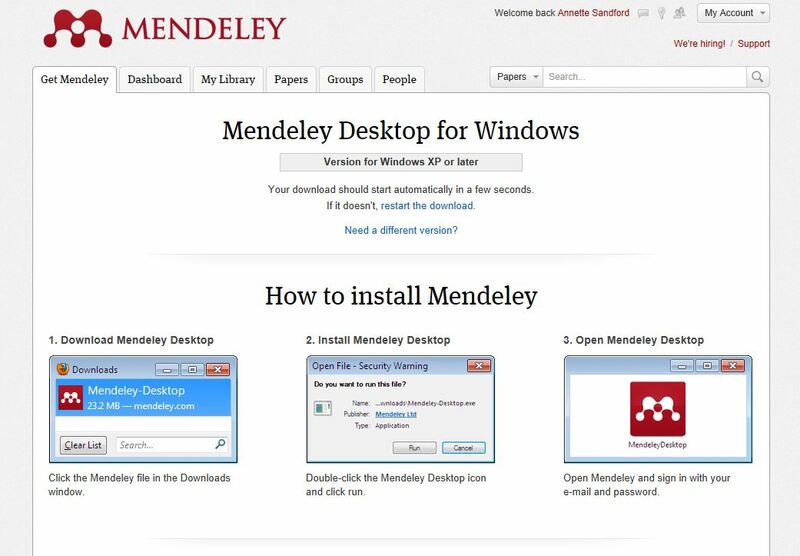 You can now download the Mendeley desktop to your devices and explore their comprehensive support pages. If you’d like to know more about Mendeley before signing up, check out Mary’s previous post here.